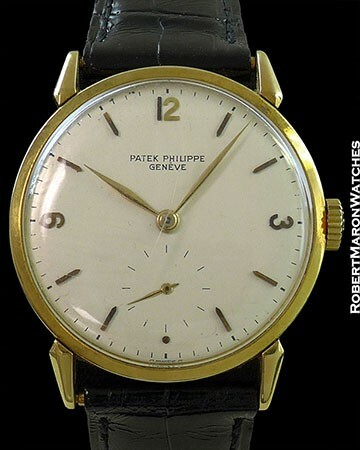 Every original vintage Patek Philippe Calatrava has its charms, but this watch has way more than its fair share. 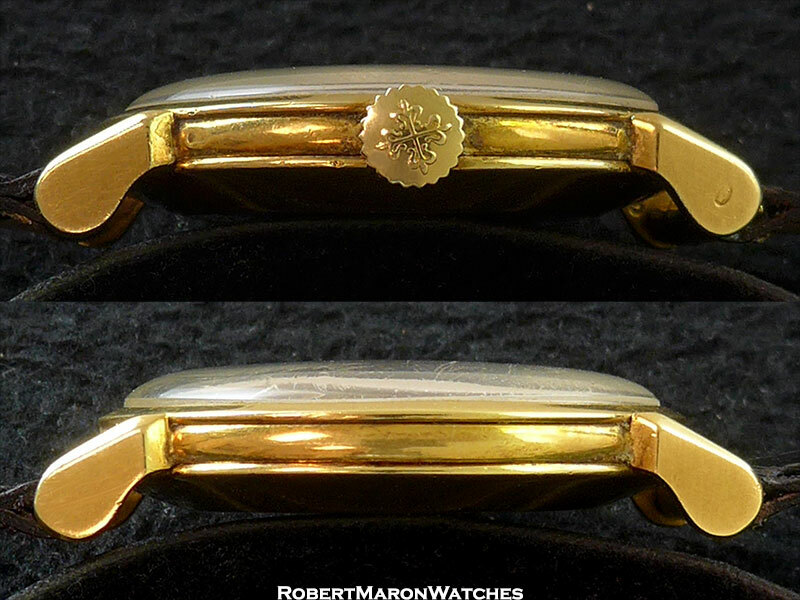 The 1578 case features its unique flared claw style lugs, in 18k yellow gold, with dimensions of 35.5mm diameter by 10mm thick. Domed acrylic crystal. Original dial with applied '12', '3', '9' and hour markers. Dial is in outstanding and perfect condition. 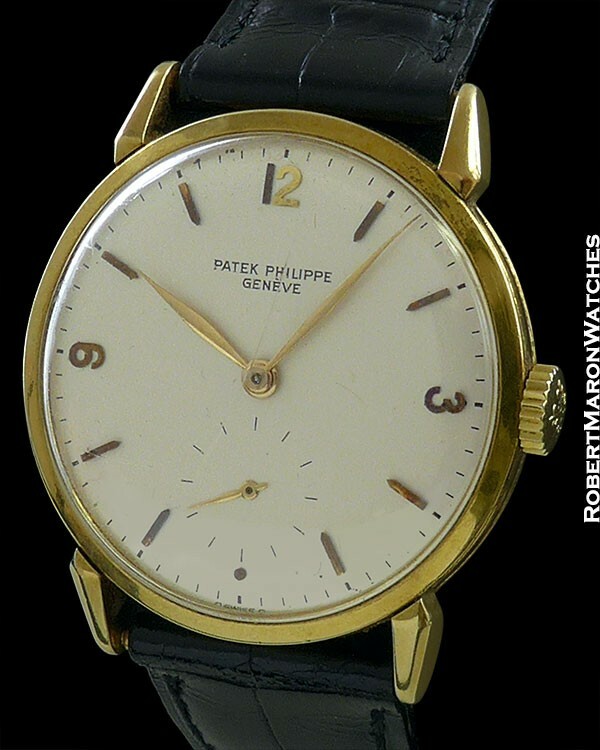 Original movement is the manual winding Patek Philippe Caliber 12-400 with 18 jewels and adjusted to temperature, isochronism and five positions. This movement is double stamped with the Geneva Seal. The movement is clean and running.